Every book is different, but with the power and popularity of websites like Amazon, it is clear that the humble book review is as important as ever. Not many self-published authors can gain the prestigious sort of book reviews you may have heard of like the New York Times Bestseller list. Read How to get good professional book reviews. Book reviews are important for word of mouth (WOM) marketing as well as for the algorithm impact they can have. Find out more in our Marketing Stage 1 service. They are also important for the doors they might open (eg. with premium ebook advertising platforms like Bookbub). Do everything you can to find the necessary time, the creative ideas and the money to get people to load genuine reviews of your book onto Amazon. We offer two packages of Advanced Book Review Management and when we do Marketing Action Plans for people—we give them the option of going direct to our suppliers or or getting us to handle it. We want our authors to succeed in any way that works for them. Our strategy can be successful, for the right book. In our experience, it works better for some books than for others, and those that succeed are the ones with the most active authors. Check out our 2016 success story-in-progress with The Devil’s Prayer by Luke Gracias, which presently has over 80 reviews [Update: As at July 2017 it has over 200 on Amazon.com] on Amazon. This is because of the author’s activity following our plan, including directly contacting reviewers who like his book’s genre who have active blogs. He tags them on social media to help bring kudos and create buzz. 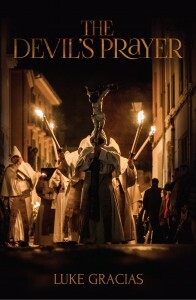 The Devil's Prayer is also a very well-written book by a very clever man. Following the advice of his publisher, Australian eBook Publisher, Luke Gracias has paid to advertise on a number of email blasts to active book reviewers in the USA with 19,000 members. 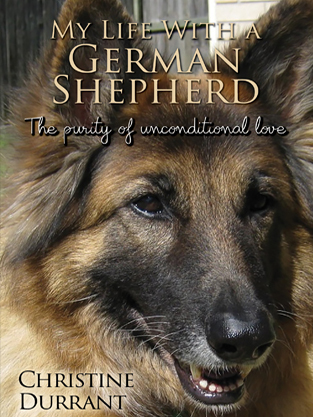 To date he has had over 740 different reviewer and bookseller downloads. Many of those will eventually become reviews (at least 20% with any luck as this list has active and engaged reviewers). The Devil’s Prayer is now listed as the third most requested book in Horror and fourth most requested book in Historical Fiction on the advanced review copy (ARC) system in question. This will ensure a few more downloads in time as now the book features on the front page of horror and historical fiction. This is creating a snowball effect among reviewers, which hopefully will be reflected in the Amazon sales figures. The Devil's Prayer has received over 100 feedback from members on the ARC system. 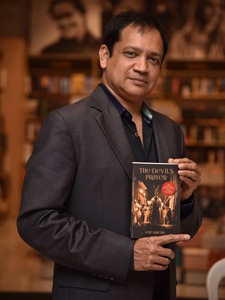 The author and his marketing assistants have written to every reviewer who has the ARC of the book, requesting a review if they have not done it after holding it for more than one month. About 15 of the reviews have come from this process. People are busy, they sometimes need a polite and gentle reminder. "Thanks to your advice, I now write to every reviewer to repost their reviews on Amazon and Goodreads, about 75% do it. This has now got my Goodreads text reviews to 90 reviews and my Amazon.com reviews over 80 [in the USA Amazon.com]." See here. Most of the reviews in various systems around the web have been positive, with 90% rated at 3 stars or higher. As the editor, printed book designer, ebook creator, ebook distributor and marketing consultant for The Devil’s Prayer we are so pleased to see it doing well. As a horror-thriller with some challenging themes, it's not everybody's cup of tea, but it is well-written, intellectually stimulating and enthralling. It will appeal to any intelligent readers of historical fiction and horror. You can buy your own copy of the ebook here. You can visit the author's website and find out more at www.devilsprayer.com.au.